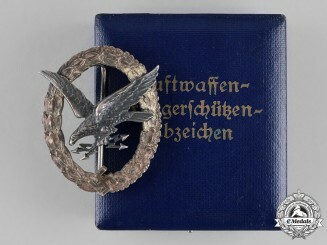 Germany. 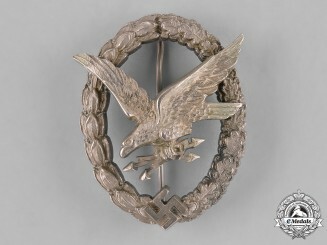 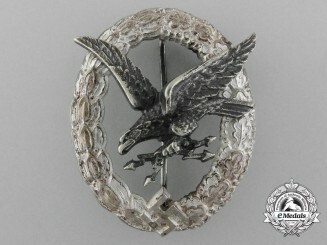 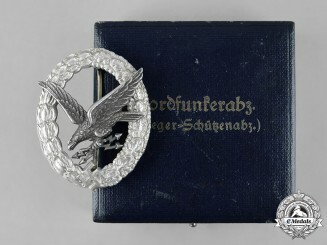 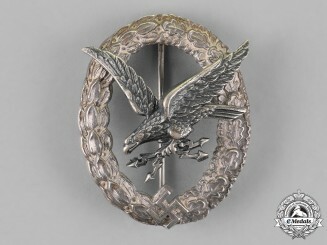 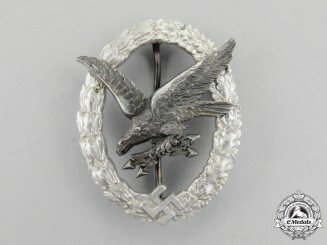 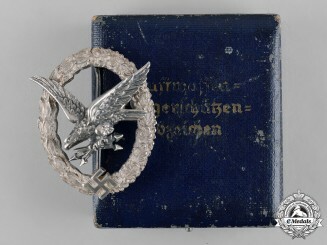 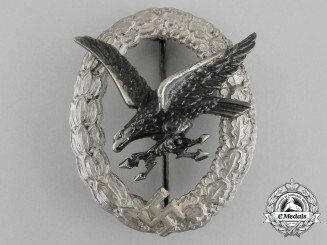 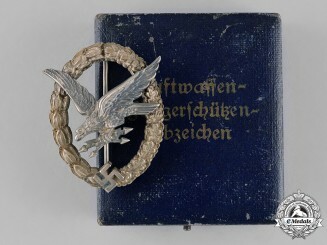 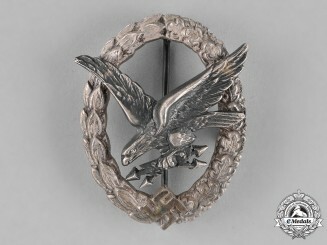 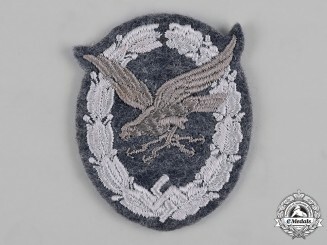 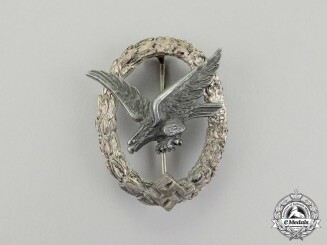 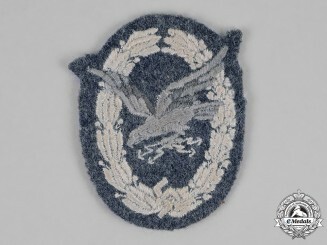 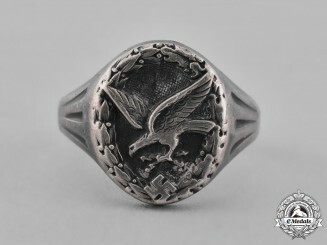 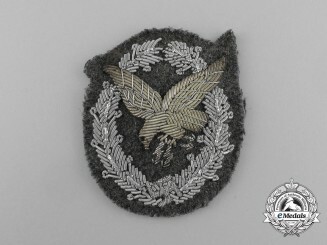 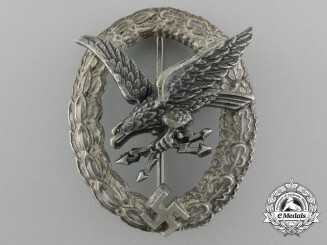 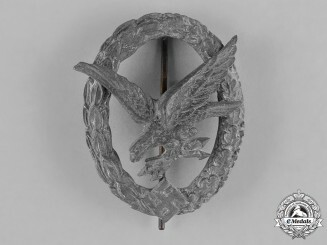 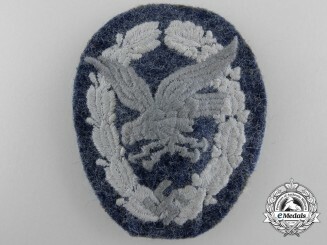 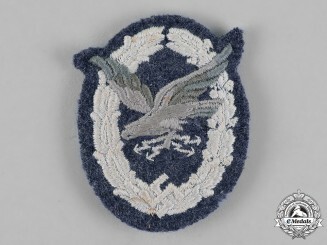 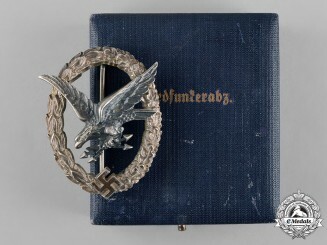 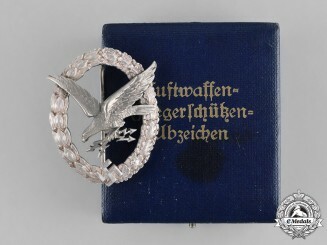 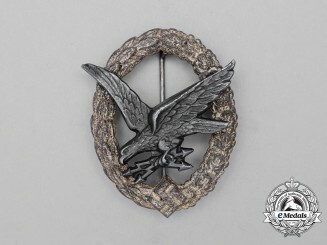 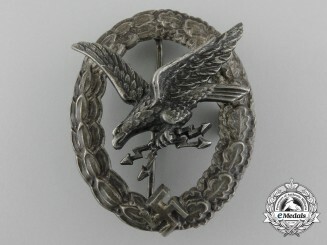 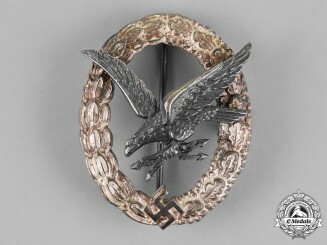 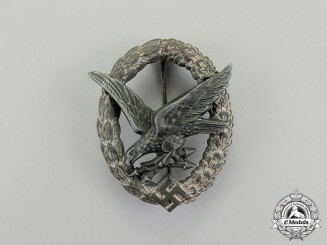 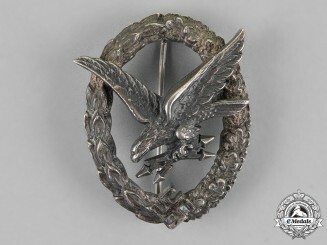 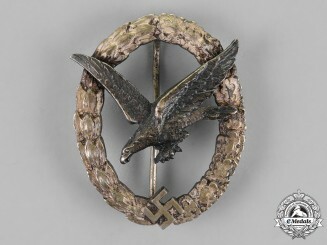 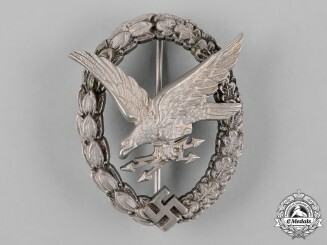 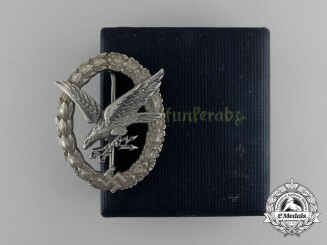 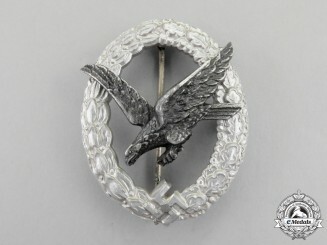 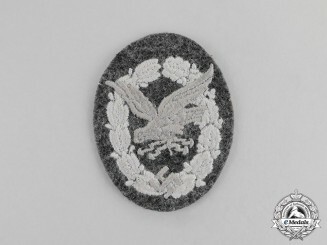 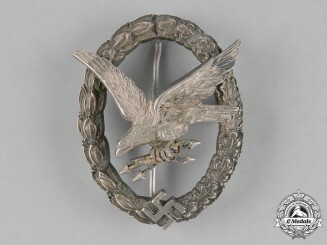 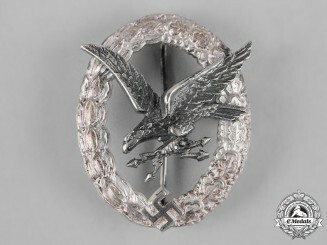 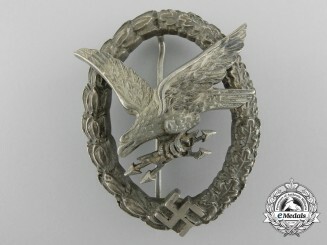 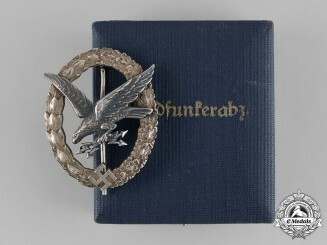 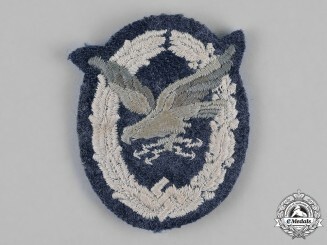 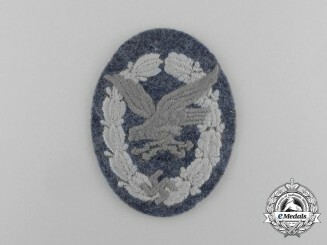 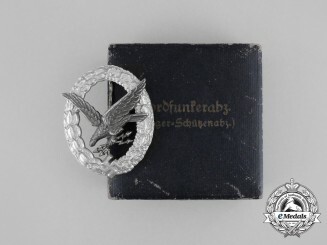 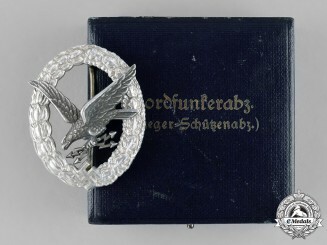 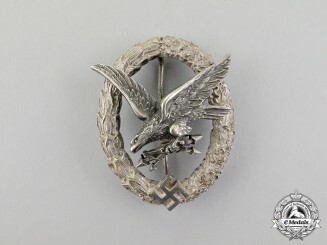 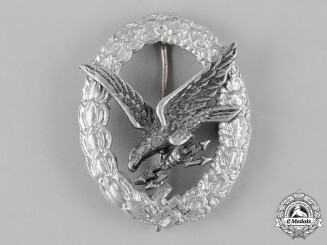 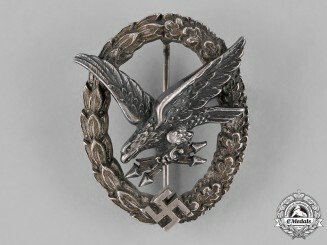 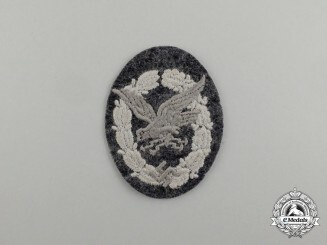 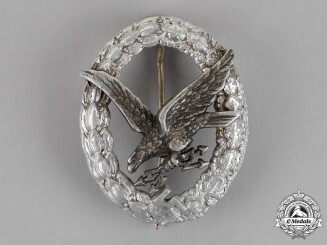 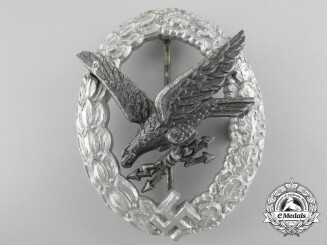 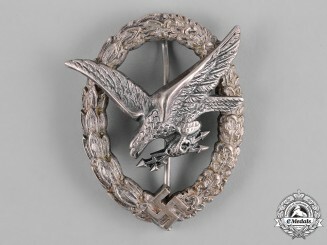 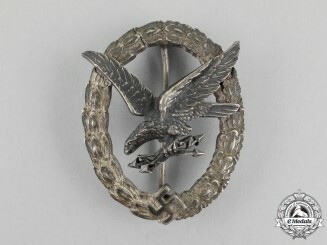 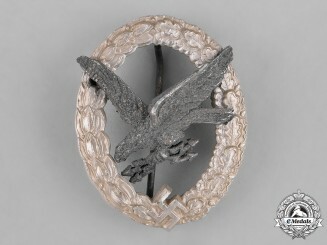 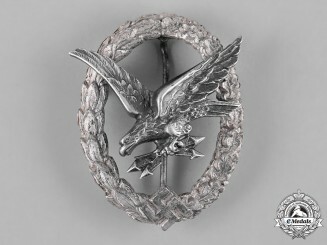 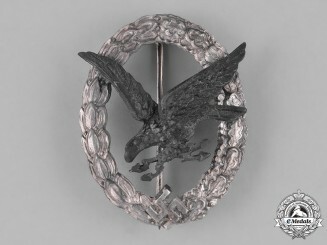 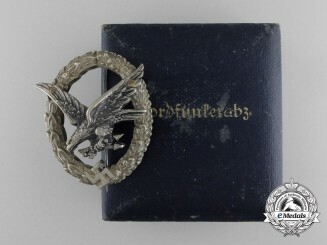 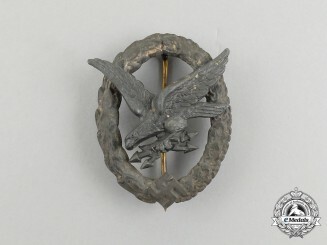 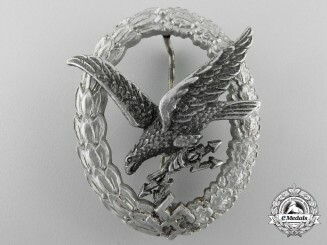 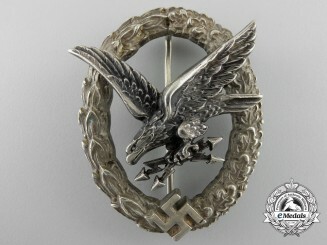 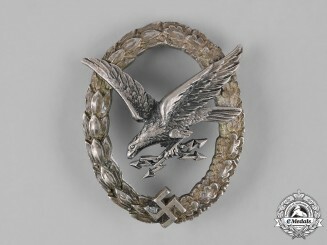 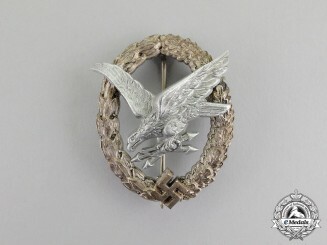 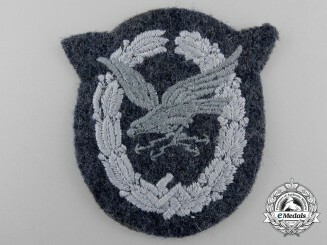 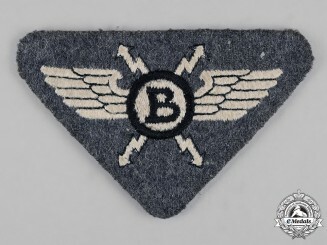 A Luftwaffe Radio Operator & A/G Badge by C.E. 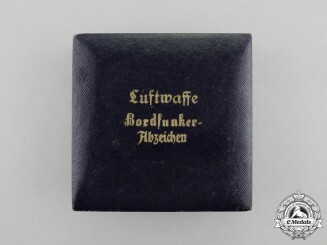 Juncker, in "Neusilber"
Germany, Luftwaffe. 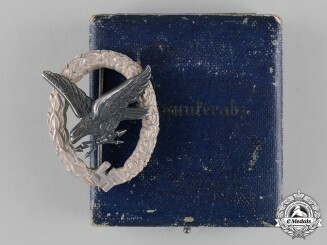 An Early Radio Operator & A/G Badge, "Thin Wreath", marked "CEJ"